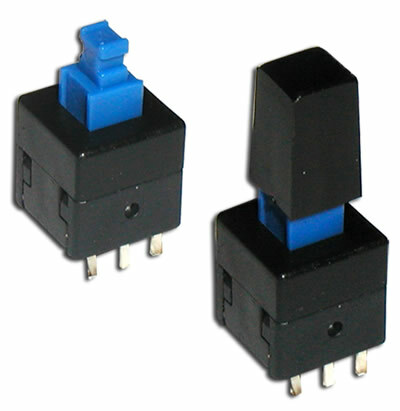 The LP2202 DPDT miniature push button switch for sale features a momentary or latching choice. 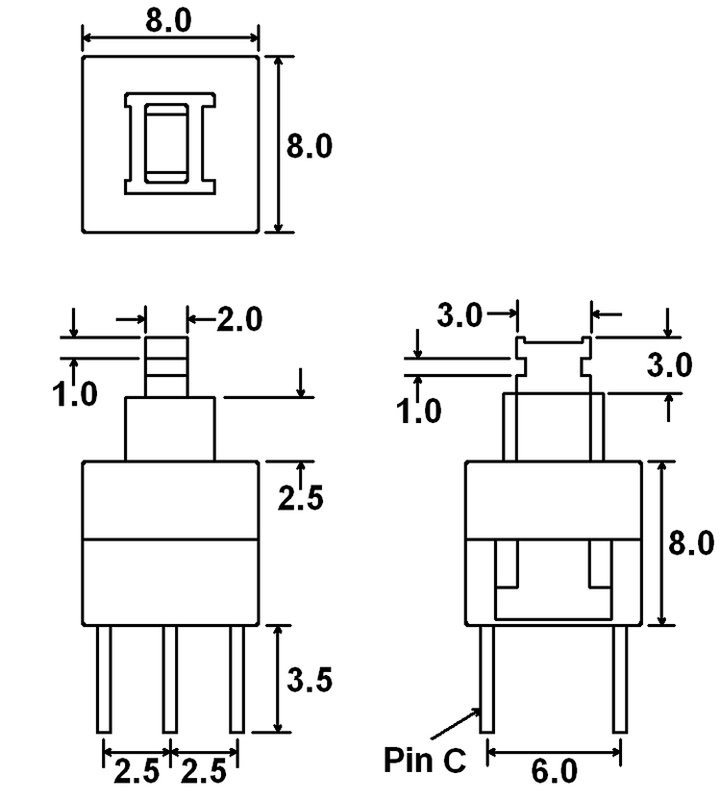 Actuation force is 180gF. Four cap options offer color choices include white, black, red, light gray and custom colors.